Restores impaired immunological reactivity: regulates the number and ratio of T-and B-lymphocytes and their subpopulations stimulates cellular immunity reactions, enhances phagocytosis; stimulates the processes of regeneration and blood formation in case of their oppression, and also improves the course of the processes of cellular metabolism. Immunodeficiency states in adults and children (from 6 months to 14 years) with: infectious purulent and septic processes. Persistent dysfunction of the thymus: radiation sickness, thymus tumors, prompt removal of the thymus. Acute and chronic viral and bacterial infections. Immunosuppression and hematopoiesis after chemotherapy or radiation therapy in cancer patients. 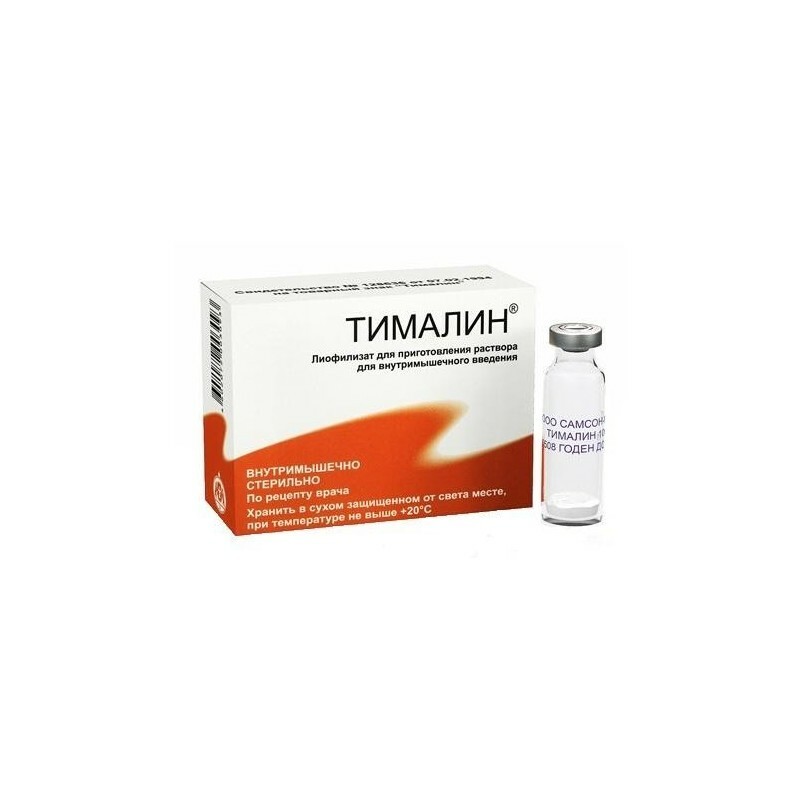 Active substance: thymic polypeptides - 10 mg.
Excipients: glycine - 20 mg.
Taktivin is injected s / c; in adults, 1 ml of a 0.01% solution (which is 40 mcg / m2 or 1–2 mcg / kg) is administered at night, once a day, daily for 5–14 days. If necessary, the course of treatment is continued for 1 month in 2 ml every 3rd day. The course of treatment can be repeated in 2–3 weeks. 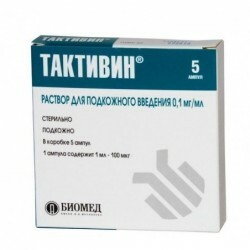 For children from 6 months to 14 years, Taktivin is prescribed s / c at the rate of 2–3 mcg per 1 kg of body weight. 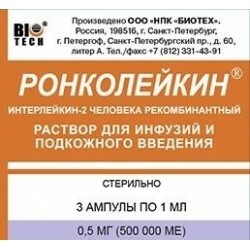 With frequent diseases of acute respiratory viral infections, acute respiratory infections, purulent-septic infections, with atopic dermatitis complicated by the herpes virus, Taktivin is administered daily for 7–10 days in combination with basic drugs. Subsequent administration of the drug - 1 injection every other day for 1-2 weeks. It is recommended to enter in the evening between the 17th and 20th hours. Hyperimmune cytolysis provocation. Exacerbation of purulent infections. 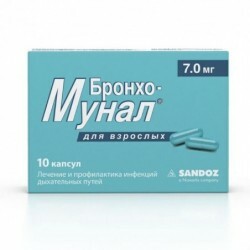 Use of the drug is contraindicated in pregnancy. 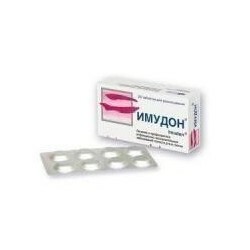 Dosage form: Lyophilisate for preparation of solution for intramuscular administration.